On Tuesday evening the NFL released its schedule for the 2015/16 season. Four men spend four months working on identifying the best schedule for the coming year. 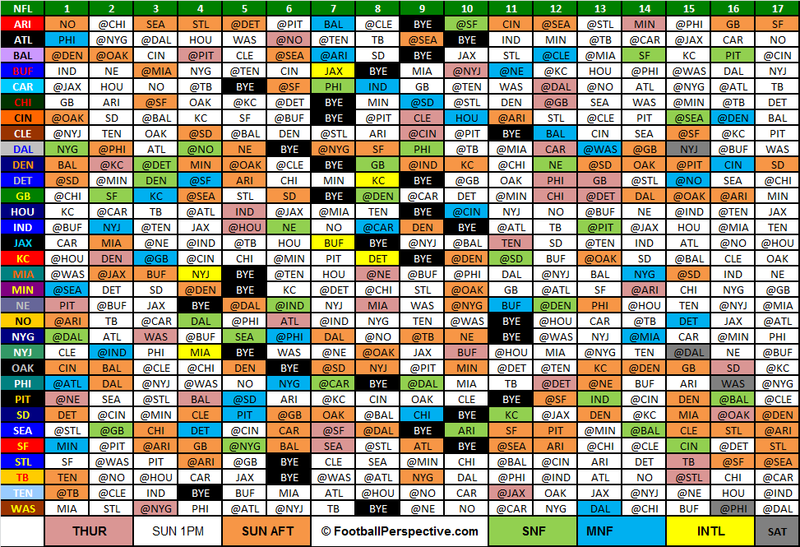 Since the NFL teams play each other on a rotating basis the actual matchups for the season fill themselves in automatically. 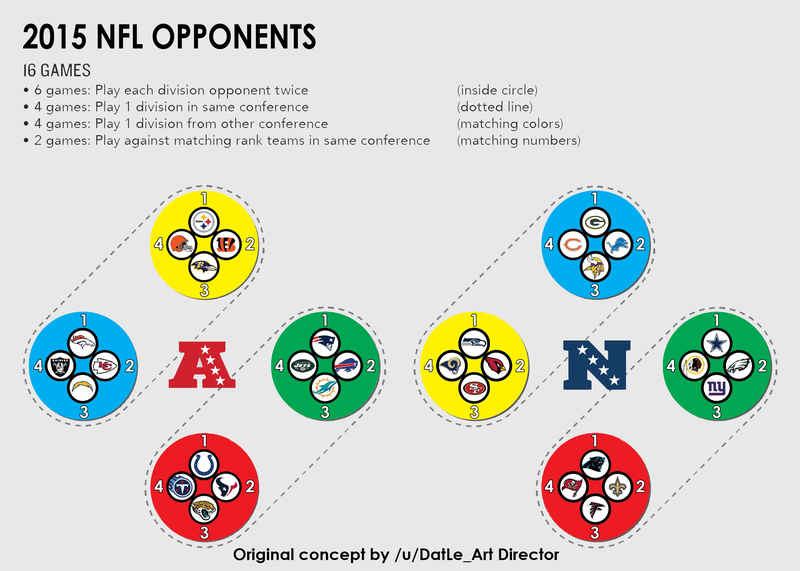 Each team plays the other teams in its division twice. Each division also automatically matches up with another division in their conference and another division in the opposing conference. This excellent diagram illustrates the process. With all the matchups determined, the scheduling team must first fill in the TV schedule. They identify the biggest games and decide on which weekends and time slots to place them. For instance, which teams will play on Thanksgiving? Which teams will feature on Monday night football? And Thursday night football? They also need to take into consideration outside influences like stadium renovations, and competing major events in NFL cities. This year the NFL ensured that Pittsburgh will play on the road the weekend that the Pope is in town. At first glance it seems ridiculous for 4 men to work full-time for 4 months on a schedule. What many people, and churches, fail to appreciate is the importance of managing the calendar. My church is in the middle of May Madness. At least every other week we have had a special event. Our calendar is so crowded this year that one of our ministries that has run for the past 8 months isn't able to schedule a year end fellowship on a Sunday because of the rash of special events. I am working with my congregation to establish fixed dates for special events, so that everyone knows what to expect at different times of the year. We also have a small team that identifies which Sundays in the year we will emphasis as special events and "invite your neighbors" days. Even with these efforts, I can't say that our church has a calendar strategy such as: No more than one congregational meal per quarter, or We must have an service activity every quarter. We don't have congregational goals for summer, just an awareness that our attendance will be down. I suspect that most churches could learn a lot from the NFL's attention to their calendar. Does your church manage it's calendar well? Does your church have a calendar strategy or a calendar lottery? What do you like or dislike about the scheduling of events?